When the Department of Science and Technology (DOST) announced the national recipient of its 2017 Best Adopter Award for the Small Enterprise Technology Upgrading Program (SETUP) in July, nobody was more surprised than the winner—a farm equipment fabricator based in Digos, Davao Del Sur province. SETUP is a DOST project to encourage micro and small businesses to adopt technological innovations to boost productivity. There were 17 regional finalists vying for the award. Some of these came from bigger and more urbanized cities, which traditionally produced the winners of many technological contests and awards. 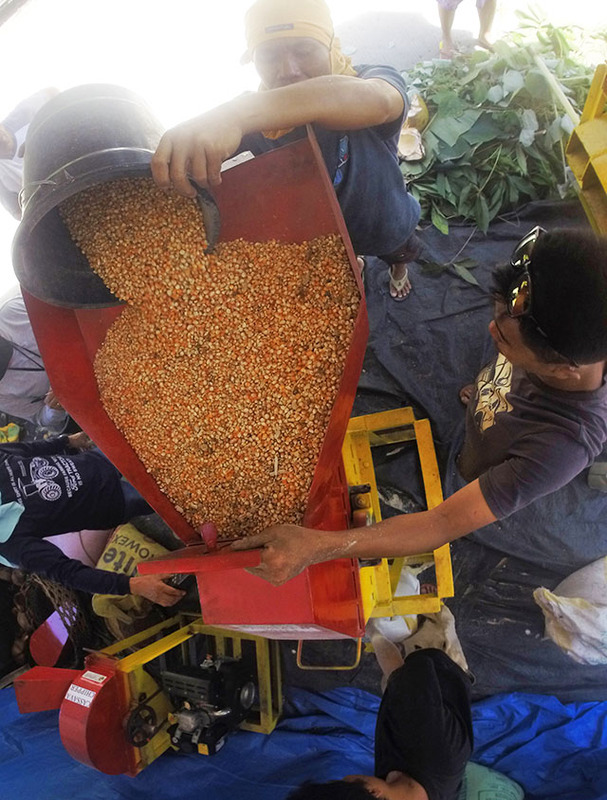 “It never occurred to us that DOST would select us to represent Davao Del Sur in the national Best SETUP Adopter 2017 competition and, certainly, we did not expect to win,” said Demetrio Perez, founder of DP Fabrication and Machineries, which makes rice mills, corn mills and other agricultural equipment and sell them at affordable prices. “The award did not only help us gain exposure and expand our customer reach, but most importantly, the award inspired us to do more and exceed our limits to be able to serve the farmers and our country,” Perez added. Established in 1995, DP Fabrication and Machineries provides equipment and implements to help mechanize farming and expedite land preparation, planting, harvest and post-harvest processing. 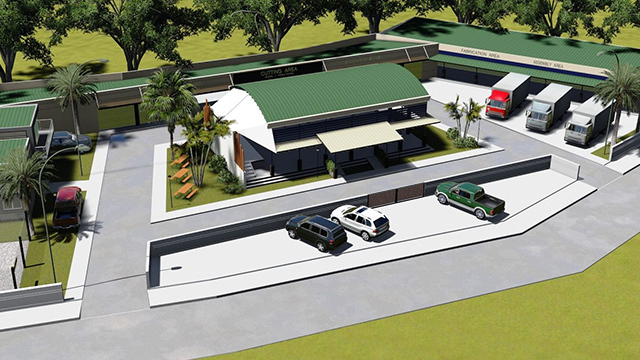 Their machineries are tested and highly rated in terms of performance efficiency and quality by the Agricultural Machinery Testing and Evaluation Center (AMTEC) in University of the Philippines Los Baños. For example, one of their best-selling equipment, the compact corn mill, has a maximum capacity of 500 kilograms per hour, which can compete with existing bigger designs of competitors. Their products are also offered at lower prices relative to most major agricultural equipment brands. Since their manufacturing is done locally, they are able to provide free after-sales services and on-call technical assistance for urgent client concerns. 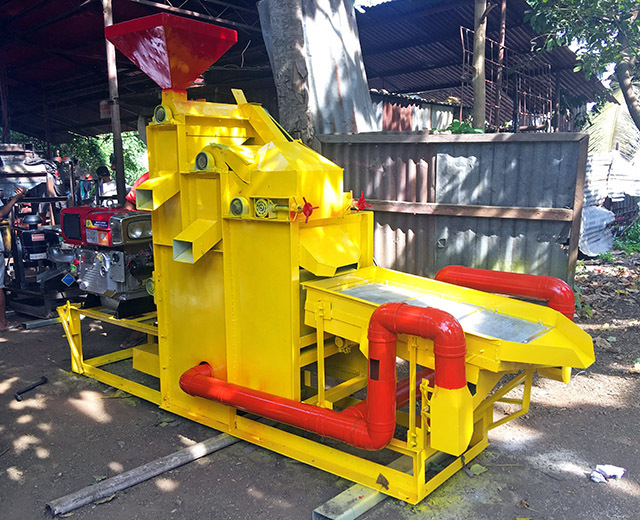 By making farm machines suited to Philippine conditions and affordable to ordinary farmers, DP Fabrication and Machineries is performing a key role in encouraging local farmers to use modern technology in producing and processing their products, thus helping improve overall agricultural productivity. Growing up in a family of farmers in the countryside of Matanao, Davao del Sur, Perez was not afforded the opportunity to receive a proper education like his parents before him. “At an early age, I was already helping my parents to provide food for the family. When I reached 13, I decided to leave our home and find a job at the nearest town. However, since I was illiterate, people at the start would hire me and only pay me with food,” he shared. Over the years, Perez had a series of odd jobs until one day he landed a job at a well-known metal scrap retailer in Koronadal, South Cotabato. The owner taught him everything he knows today about the metals and the scrap business. Perez also married his mentor’s eldest daughter and started a family. They moved to Digos City, where he provided for his family by pushing a cart in the streets every day to collect used bottles and scrap metal. His first big opportunity came when he was asked to deliver a bulk volume of recycled bottles to Davao City. With the little income he made at that time, he picked up as many bottles as possible until he reached his target. However, his first big break quickly turned into his first big heartbreak in business. “I hired a truck and a few assistants. Unfortunately, the truck got into an accident in a nearby town and all the bottles were destroyed,” he recalled. While it was a frustrating situation, Perez hired extra hands to help clear the road. Still, he paid for the use of the truck. “The next day, I had to wake up, earlier this time, and collected more bottles and more scrap metals to start all over again. When you’re poor, you have no time to waste on frustrations. Giving up was never an option for me because I had a family to feed and children to send to school,” he said. Eventually, in 1995, he was able to recover the money he lost from the accident. Finally, he had enough savings to shift his business from buying and selling metals to opening a small machining shop. “It was an open opportunity for me to upgrade our living. I met so many good people who gave me the experience and knowledge I needed to develop machineries and equipment. I tried and failed many times in the fabrication business, but the failures only molded me and my business to what it is today,” he added. Some of their clients in the private sector include HEDCOR, a unit of Aboitiz Power in Davao City, and Super Trade Enterprises in Quezon City. In the public sector, some regional offices of the Department of Agriculture, Department of Labor and Employment (DOLE), Department of Trade and Industry (DTI) and Philippine Coconut Authority (PCA) are also clients. The business growth is illustrated by the tremendous uptrend in capital. Perez reveals that he started the business in 1995 with a mere Php15,000 from his personal savings. By 2005, the capital was Php500,000. Between 2014 and 2015, the SETUP program provided a total loan of less than Php2 million. After that, the company’s capital more than doubled from Php9.3 million by the end of 2015 to almost Php20 million the following year. Sales also grew from Php2.8 million to Php 17.5 million from 2014 to 2016. Perez hopes to expand their agricultural equipment portfolio. 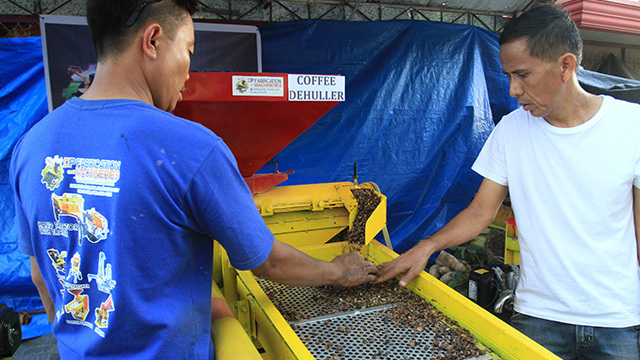 Their corn mill machine, for example, is seeing continual improvement to cater to commodities with increasing demand from growers of other products such as coffee and cacao. To make room for more production, as well as bigger dreams for the business, a new production facility is currently under construction. “We will also register our business as a family corporation by 2018 and venture into subsidiary businesses that will complement the current one,” shared Perez. “At this stage, we are building a business not only for our family’s benefit, but for the community and for God. Moreover, I want this business to be a blessing to children who are in the countryside fighting for their right to education. To serve our Lord, we are bound to serve our brothers and sisters,” he added, demonstrating how his humble beginnings continue to inspire his business vision. How Much Does it Cost to Review for the Bar Exams in the Philippines?